Sunday 3rd May is the date we are all waiting for – when the gates open to Camphill’s Country Market and we welcome friends and family to join us enjoying the country air, wonderful food and tranquil atmosphere. All our delectable, delightful products and produce are on sale: sample the fresh organic yoghurt, milk and dairy products, the wonderful crusty breads and our enchanting cosmetic products full of pure goodness. This Sunday we have something special in store, for those of you wanting to get a little exercise while you enjoy the beautiful scenery and surroundings. There will be a free 30min Pilates lesson and a 30min Qigong demonstration / lesson from 10:00am for anyone who would like to attend. On the food side this month as well as the usual scrumptious cakes on offer we will be making pizzas and the lunch menu will include a lovely curry and rice. We also welcome two new additions to the food vendors who will be selling a variety of healthy, hot dishes. As always there will be kids’ entertainment, tractor rides and a large variety of stalls and products for you to choose from. Come and enjoy the expansive grounds, facilities and great market atmosphere of Camphill Village West Coast this Sunday 10am-2pm. 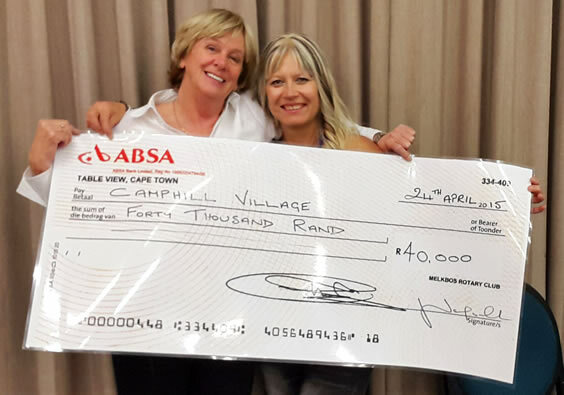 It is with heartfelt gratitude that we thank Peter Woods from Church Wilne and Josie Norfork from Melkbos Rotary for the generous donation of R40 000.00. We shared a wonderful evening of Trivial Pursuit with the members, and amongst lots of laughter made new friends and reconnected with old ones. This donation will be of great help towards a fencing project at Camphill. Our vision is to increase our Jersey cow herd so that we can substantially raise our milk production. The fencing will enable us to add pastures and camps to the existing grazing land. Our organic milk, yoghurts and other dairy products have now become so popular among the Cape Town health shops and wellness stores that there is a demand greater than we can supply with our current dairy herd. Accomplishing our vision will assist us on our journey to self-sustainability. Thank you all for your support of Camphill Village West Coast over the years. Camphill Village cannot exist without the support and generosity of organisations and people like you. PS: Our team will be back to challenge for the first prize in Trivial Pursuit! Our 6-monthly CAR (Camphill Africa Region) conference was held in the Camphill in Botswana two weeks ago. 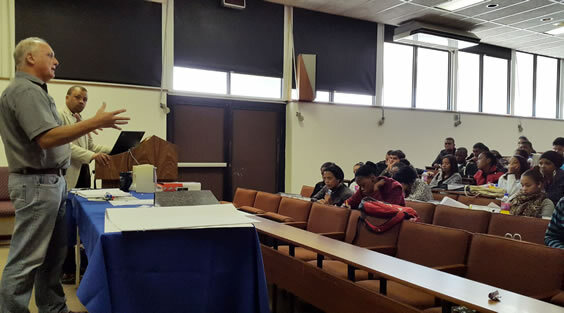 Six delegates from the Western Cape, and a representative from the Association of Camphill Communities in Ireland decided to drive up, instead of flying to the conference. 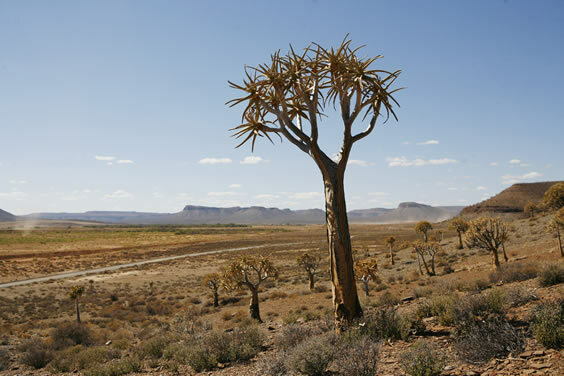 This resulted in many hours in the car, but gave us the opportunity to see some beautiful parts of South Africa, Botswana and Namibia, and also gave us a chance to get to know each other better. Camphill Botswana hosted a good and very thought-provoking conference, in which we shared the experiences and challenges of each of our communities, discussed strategies going forward, and worked on what we understood the common ethos of Camphill to be, this ultimately being what unites us. It provided a really good opportunity to take a step out of our daily routine and look ahead at the needs of society, and to hear about the ways in which other organisations go about doing similar work. 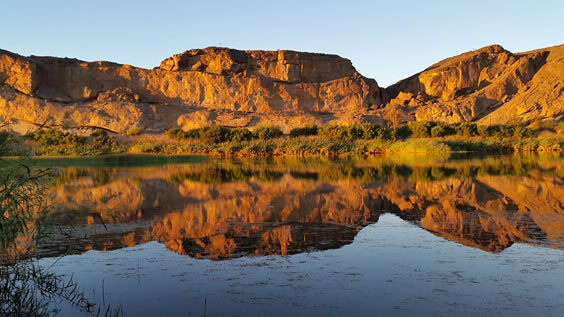 We drove back via Namibia and the Orange River, and although it was a long week, it was a hugely inspiring experience. For the past couple of years, students from Elsenburg Agricultural College have been coming to Camphill to experience “getting their hands dirty” and working together with residents in our gardens and on our farm. Last week Rudi Malan and I gave the new intake a briefing on what to expect. 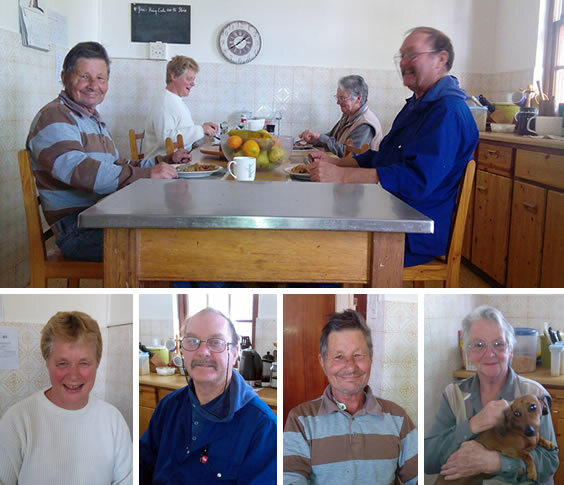 Anke Maas, Jan Volmer, Peter Landman and Esme Jedidja moved to Rooikrans on the 7th of April. When we moved in we had to clean our own windows and hang up our own curtains. 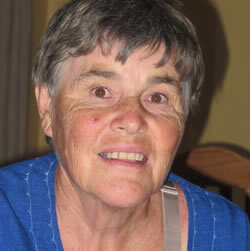 Chris Martin and Tess De Kock helped me beforehand to clean out cupboards and to polish the floors. A very big thank you to the two of you. We are quite excited because the way we are running our house is like families who go to work every day and come home later in the day to do all their house chores and cooking themselves. To adapt to this ‘new’ way of living was a bit of a shock to our delicate systems. No morning team to sweep, clean, cook and wash for us. Breakfast and lunch is self-help and each person is responsible for cleaning the things he or she used. On the 11th of April we had our first house meeting to divide tasks in and around the house. We have shared out tasks by making use of a calendar to let us remember who is doing what, where and when. 14th of May - Ascension Day. Walk up hill behind Camphill and picnic. 24th of June - St John’s Day. This feast day celebrates the birthday of John the Baptist and has great spiritual and personal significance to the community. We have a festival with a bonfire, symbolizing the burning of the old to make way for the new. 27th June - Camphill & Friends Talent Show will be happening. 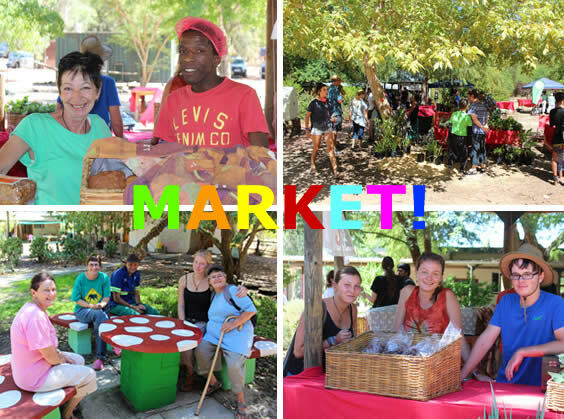 This year we are very excited to be including talented individuals from Camphill Hermanus and Orion organization. 24th of October - Our second Annual Music Concert. If the success of our first one is anything to go by this one is going to be much bigger, showcasing amazing talented artists from around South Africa. I was born in 1953 and came to Camphill on the 2nd of July 1975. The first house I stayed in was Huis Ten Bos. I worked in another house in the morning and in the garden in the afternoon. I am still working in the garden full time and when I come home I water our own garden at the house. I like to ride my bike in the village and I want to go and do the 12km at the Big Walk in Cape Town this year. I make my own Herb Tea and sell it at our market. My best friend was Eldred Key but he has died; now I still have Ann and Georgina. I also have two cats. A wish: I have moved so much, I don’t want to move anymore. It's time to use your MySchool MyVillage My Planet card to vote for your favourite charity again. And we hope that you'll give Camphill Village West Coast a shout! Type our name into the Charity Search bar. Enter your My School card number and details. Copyright © 2015 Camphill Village West Coast, All rights reserved.